Currently, world population is 7,62 billion people and thus the need for safe, clean water is imperious. World Health Organization/ UNICEF carried-out studies that almost 1,5 billion people are in danger because they do not have access to safe potable drinking water and nearly 3 billon people lack access to clean water. Studies suggest that an average human being use approximately 80-100 gallons of water per day. The well-known fact is that water is connected to nearly everything in the world, but its complexity should not narrow perceptive: water is a necessity for humans to have a decent life on a healthy planet. Since there is a major crisis regarding water, it emerges the need to develop technologies and minimize the risks of a human being. This review proposes the synthesis of silver nanoparticles and some potential applications in water treatment. Due to their attractive physicochemical properties in many applications, the main aim was to obtain silver nanoparticles through economic and efficient methods. 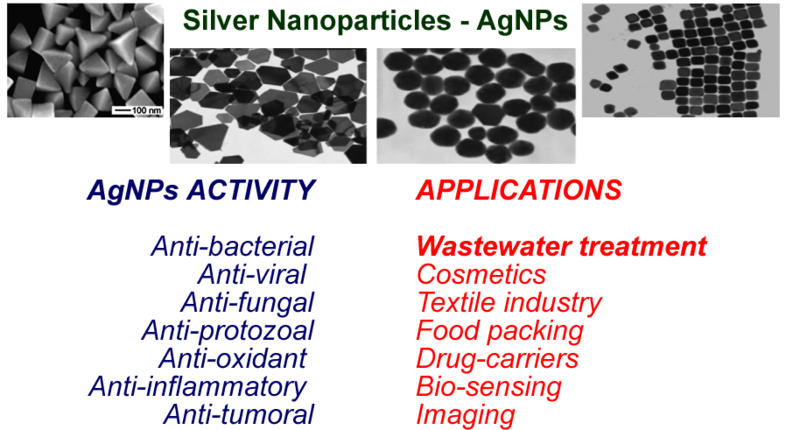 Among other aspects of the silver nanoparticles involves the study of antibacterial effects with the benefits of using them in water purification. 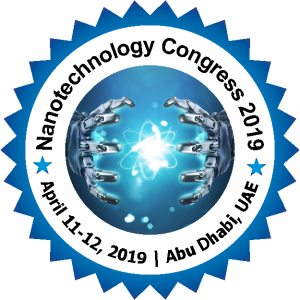 One of the challenging tendencies in the past decades was to use nanotechnology and its application to provide the most significant basic human right – drinking safe water free of bacteria and viruses. Through the benefits of nanotechnology were able to remove new contaminants by increasing the purification steps and reduce costs. The adsorption of sodium ions onto Amberjet 1500H synthetic ion exchange resin was studied. The study was conducted by a batch method to determine equilibrium and kinetic studies using synthetic solution of 5.3 pH and Na concentration ranged from 10 to 20 mg/L. The experimental isotherm data were analyzed using Temkin and Dubinin-Radushkevich equations. Adsorption kinetics data were tested using pseudo first order, pseudo second order and intraparticle diffusion models. Kinetic studies showed that the adsorption followed a pseudo-second-order reaction. The initial separation rate, pseudo first order, pseudo second order and intraparticle diffusion rate constants for different initial concentrations were evaluated and discussed. Based on the adsorption isotherm studies the uptake capacity and the adsorbate/adsorbate interaction of Na+ ions on 1500H are small, its due to the low affinity of sodium ions for adsorbed with cation resin. For all the system studied, chemical reaction seems significant in the rate-controlling step and the pseudo-second-order chemical reaction kinetics provide the best correlation of the experimental data for 1500H. Effects of Na131I and UO2(NO3)2 on Vibrio Qinghaiensis sp. Q67 (a freshwater luminescent bacterium) were studied in the paper. Relative luminosity (Irel) was used as the tested physiological parameter. About Na131I solution, Four radioactive concentrations were designed. Irel was fluctuated as the activity under 1000Bq/ml and varied irregularly, while three successive stages in the bioluminescent response to Na131I at the activity over 5000Bq/ml were found: initial stage (stress recognition), hormesis stage (adaptive response) and inhibition stage (radiation toxicity). While to UO2(NO3)2, bioluminescence inhibition was observed under uranyl concentrations exceeding 0.05 ppm and for each concentration, Irel was approximate linear decrease over the exposure time. Furthermore, chosen the Irel at exposure 15min (Irel, 15) as the study target, a linear relationship was observed between Irel, 15 and the concentration of uranium from 0.05 to 1ppm. The main toxic factor was chemical component, not radiation. Three different zeolitic materials derived from coal combustion by-products (CCBs) were used to treat local coal ash landfill leachate at the same power plant. The zeolitc materials properties were characterized in terms of mineralogical composition (XRD), chemical composition (XRF), total carbon content, morphological analysis (SEM), specific surface area (BET method), cation exchange capacity (CEC), loss of ignition, pH, conductivity and bulk density. XRD indicated that sodalite zeolite was formed in all the samples after hydrothermal activation of CCBs. One zeolitic product from baghouse fly ash (ZFB) presented the lowest SiO2/Al2O3 ratio, highest CEC and specific surface area, thus having a high capacity in removal of heavy metal pollutants. The zeolitic products were efficient to reduce arsenic concentration to a value below the legislation. All zeolitic materials also showed a significant removal of Ni, Cd, Zn and Co except of Cr at a dose of 10 g L-1. Thus, this work provides a sustainable strategy to resolution of solid waste from power plants. Dyeing and finishing processes for the textiles are practiced by human beings since ancient time. However, in recent years a lot of attention has put in these processes because of the awareness of sustainability and eco-friendly textiles and garments. Textile processes use many toxic dyes and chemicals. This waste water is discharged into fields, ponds or rivers without or improper effluent treatment. As a result, the workers and people coming in contact with discharge water suffer from various skin diseases and respiratory problems. The people are becoming more and more health conscious and demands for producing textile products through environment friendly and sustainable dyes and dyeing processes. Many carcinogenic and allergic synthetic dyes are banned now. Many dyes, though not banned yet, may not be completely safe. Most synthetic dyes are not biodegradable; they accumulate on lands and in river causing ecological problems. Dyes from natural resources such as vegetables, animals and minerals were popular before the invention of synthetic dyes. The efforts have been made to substitute harmful synthetic dyes with natural counterpart. However, natural dyes should be selected with caution – some are neither eco-friendly nor good performer. The present paper discusses the environmental impacts of conventional synthetic dyes and existing laws in this regard. The environmental benefits and possibility of revival of natural dyes have been discussed. Comprehensive two-dimensional gas chromatography and time-of-flight mass spectrometry (GC×GC/TOF-MS) has been used in group-type chemical compositional analyses of gas turbine fuel as this state-of-the-art technique enables a detailed output of fuel constituents. However, it is an unreasonable expectation for one set of operational parameters to yield optimal separation for every fuel type. The aim of this study was to optimize the operational parameters for conventional jet fuel (Jet A) and the alternative fuel Hydroprocessed Esters and Fatty Acids (HEFA) to achieve the most efficient separation. Response surface methodology was utilized in design of experiments. The parameters investigated were as follows: modulation time (3.5–7.5s), oven temperature ramp (1–8°C/min), secondary oven temperature offset (15–40°C), and carrier gas flow rate (1.0–1.5 mL/min). The optimum parameters for Jet A and its mixture with HEFA were discovered. Glauconite and kaolin was used as adsorbent materials for iron ion removal from synthetic solutions. Different concentrations of iron solution have been prepared 10, 20 and 30 mg/L. Different doses of glauconite and kaolin were added 0.1, 0.55 and 1.0 g. Statistical design was used to determine the optimum conditions of iron adsorption on glauconite and kaolin. It is shown that glauconite has high adsorption for iron reaching up to 95% while kaolin exhibit lower adsorption for iron. Physical and chemical characterization of glauconite and kaolin was done and these data were correlated with the removal efficiency. Higher surface area of glauconite 19.8 m2/g compared to kaolin 5.4 m2/g lead to higher removal efficiency. Recently, there have been many studies to decrease environmental pollution around the coal-fired power stations. One of the studies addresses that untreated ash particles cause economic gains for polymer based composites. In this study, free vibration characteristics of bottom ash/epoxy composite beam with respect to 5 and 10% bottom ash additive is considered for possible structural and infrastructural applications. General microstructural methods are handled for bottom ash/epoxy composites, and the modal and stress behaviors of the composites are calculated. Effect of natural frequency on shear stress and Strain energy density at the free edge is examined. Results are given in tabular and graphical forms. Experimental and numerical computations indicate that (i) values of natural frequency of bottom ash/epoxy composites are higher than that of epoxy, (ii) values of damping ratio of bottom ash/epoxy composites are lower than that of epoxy, (iii) shear stress and SED increase with increasing mode number for all bottom ash/epoxy composites. Passive air sampling is a preferred method of air sampling for many applications. Traditionally, this method uses activated carbon as the sorbent and samples are analyzed by chemical or thermal desorption. This research explores the use of carbon nanotubes in the form of a buckypaper as a sorbent for passive sampling by comparing the mass uptake and percent yield to that of the 3M™ Organic Vapor Monitor 3500 over four time trials (30, 60, 120 and 240min) using toluene as the sorbate. A total of 48 samples were taken and results were analyzed using a gas chromatograph. The desorption efficiency and mass uptake rate of the carbon nanotube sorbents were similar to the 3M™ Organic Vapor Monitor 3500. Desorption efficiencies were 85.5 – 100.3% for 3M samplers and 89.5 – 95.5% for carbon nanotube sorbents. The mass of toluene collected at 30-minute and 120-minute time trials showed no significant differences (p = 0.37, 0.1, respectively) while 60min and 240min time trials were significantly different with fabricated sorbents collecting closer to the expected mass (p = 0.02, 0.04 respectively). Overall sampling capacity is lower in the 20mg carbon nanotube buckypapers compared to the 200mg activated carbon pad of the 3M™ OVM 3500 due to somewhat lower adsorption capacity and much lower sorbent mass. While the objective of this study was to explore the suitability of buckypaper sorbents for sampling exposures at low concentration for short durations, a larger mass buckypaper sorbent should provide a similar sampling capacity to standard passive samplers. The knowledge of moisture transport in porous building materials and components is crucial to predict and avoid several pathologies and is essential to increase the durability. It is easy to know the amount of water that, for example, some material absorbs when in contact with water. However, it is very difficult to determine where the water is, the water transport process, the water movement, etc. Using the gamma ray attenuation technique, it is possible to determine the water content along a building material or component and obtained the water content profile in different moments. So, with this tool, several phenomena can be studied such as: the wetting and drying processes, the thermal performance, waterproof behavior, etc,. This paper presents the gamma ray attenuation technique, the way that the water content profiles can be obtained, some interesting water content profiles obtained for a material, monolithic and multilayered and the discussion of those results. Nano-sized CdS has been prepared by aqueous chemical method using glycine as a capping and stabilizing agent. X-ray diffraction (XRD) analysis of as-synthesized material revealed hexagonal wurtzite structure of CdS with average crystallite size 48.1 nm. The observed FTIR spectra support the template role of glycine in controlling the size of CdS nanoparticles. Photo-catalytic efficiency of CdS nanoparticles was investigated under UV irradiation following degradation of methyl orange (MO), as a probe. Effect of some operational parameters such as photo-catalyst load, pH of solution and substrate (MO) initial concentration on the photo-catalytic degradation of the dye have been investigated. Using methyl orange initial concentration 300 mg/L, optimum photo-catalyst load 120 mg /L and pH 4.0, as high as 92 % degradation of methyl orange could be achieved under UV radiation. The photo-catalytic method developed here can be used for large scale treatment of water bodies contaminated with methyl orange dye. Recently, the introduction of separation membranes is progressing in the field of sewage and industrial wastewater treatment. The treatment methods with membrane separation have many advantages. Firstly, the sedimentation tank has not been required for the sake of gravity sedimentation. It is possible that the reaction tank become compact. Secondly, suspended solids (SS) can be almost completely removed, and it is possible to produce clarified treated water for which even bacteria and viruses can be almost completely removed. 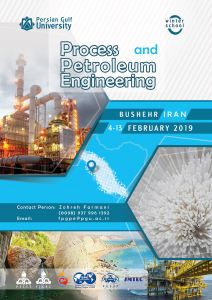 For this research, a new and novel separation polytetrafluoroethylene (PTFE) membrane has been produced, and the membrane has been applied to membrane bioreactor and membrane separation coagulation sedimentation treatments on an actual sludge treatment center. The experiment data was obtained through continuous operation during over approximately one year, and did show the similar good performance to a chlorinated polyethylene (CPE) membrane. As a result, the fouling resistance was considerably improved when using the flat PTFE membrane compared to the flat CPE membrane. Nd:YAG pulse laser system was used to fabricated TixBi1.7Pb0.3Sr2Ca2Cu3Oy superconductor thin films, were x=0.1, 0.3 and 0.5. All the samples have been annealed after deposition with flow of oxygen for two hours at 800 ºC. X-ray diffraction analysis evidenced that the prepared thin films were consistent of low 2212 and high 2223 phases. Scanning electron microscopy images of the samples revealed that the addition of Ti nanoparticles into (Bi,Pb)-2223 composition would have significant effects on their grain sizes and morphologies. Electrical properties of the thin films can be associated to the modification in the holes content, the highest TC at 114.5 K was obtained for the thin film with x=0.3. Graphene and its derivatives are extensively used in many applications from medical to environmental or electronic applications, as well. The high interest for this kind of materials is due to the extraordinary electrical and mechanical properties, the good biocompatibility and a remarkable specific surface area. From the point of view of environmental applications, two properties are essential: very high specific surface area (can reach 2600m2/g, twice comparing to Single Wall Carbon Nanotube) and the ability of graphene to be oxidized and thus, the hydrophobic backbone and the hydrophilic moieties can selectively bind the desired hazardous compounds from different media, regardless their hydrophobic or hydrophilic nature. 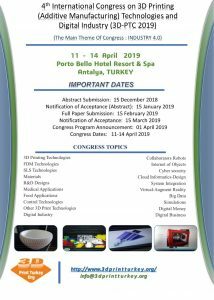 Among the many preparation routes presented in the literature only a few are suitable for obtaining graphene and graphene oxide at reasonable price at large scale. Along with the ability of selectively remove different species, graphene and its derivatives can be used as sensor. Clustering by fast search and find of density peaks (CFSFDP) is a new density based algorithm that discovers the centers of cluster by finding the density peaks efficiently. CFSFDP is applicable to a lot of clustering problems that deal with static data. Nowadays, more and more data, such as, social networks, blogs, web pages, Internet of things etc., is appearing in dynamic manner. However, CFSFDP is applicable only to organize the static data into different clusters. This paper considers the technique to be used with CFSFDP in the incremental clustering problem. In this paper, a novel approach ICFSFDP based on Nearest Neighbor Assignment (NNA) is proposed. ICFSFDP utilizes the CFSFDP mechanism for clustering the initial dataset and the remaining data-points are assigned to existing clusters based on NNA. Three standard clustering benchmark datasets are used to test the performance of the proposed method. The experimental results present that ICFSFDP based on NNA is efficient and effective to cluster the dynamic data and it is robust to noise as well. The oxidation of unsymmetrical dimethylhydrazine(UDMH) with different oxidizing agents in atmosphere, water and soil has been reviewed. Emphasis is put on comparison of the oxidative products and the oxidation mechanism in different systems rather than on individual results. The number of the detected oxidative products are more than 30, and major identified products are N-nitrosodimethyamine, Formaldehyde dimethyldrazones, Dimethylamine, Tetramethyl-tetrazene, Formaldehyde, which are proved to have serious environment and human health impact. The main detailed pathway in ozone and oxygen reaction is primary abstracting hydrogen for N-H bond with formation N-amine radical or diazene, followed by add oxygen to form N-oxides radicals; Moreover, the N-oxides radicals undergo disproportion forming NDMA and the diazene leads to dimerization to tetramethyltetrazone, cleavage to dimethylamine; while the hydroxide radical tends to abstract hydrogen from C-H bond leads to formaldehyde and formaldehyde dimethyldrazone. In order to clarify understanding the mechanism, the evaluation of transformation products quantitative analysis, as well as the advancement in theoretical and computational methods is the key role for the further study. The paper presents the most important issues relating to the research and application of materials with controlled-release properties that can increase the effectiveness of nutrient uptake, alleviate the negative influence of fertilizers on the environment and reduce labor and energy consumption associated with the use of conventional fertilizers. The article discusses predominantly commercially available controlled-release fertilizers manufactured with the use of sulfur, thermoplastics, polyurethane and alkyd resins. The multistep diffusion model was pointed out as the best tool for the qualitative description and quantitative prediction of the nutrient release. Attention was also paid to the fertilizers prepared with the use of other materials like superabsorbents and polysulfone-based materials. Bio-composites of starch, lignin, cellulose and other natural or synthetic biopolymers were depicted as the most promising materials for the future application. The article contains also the quantitative analysis of bibliographic data and information on the market situation of fertilizers with a delayed nutrient release. Understanding the connection between soil biodegradation and temperature is a matter of concern nowadays. Increasing temperature increases the rate at which soil is degraded by microbial action enhancing carbon losses with a negative impact on the atmosphere and water quality. The number of methods allowing these measurements is small, and additional options that contribute to improve our knowledge about this subject are welcome. Calorimetry is a new alternative to monitor directly and in real time the immediate response of soil microbial activity to changing temperature. This paper shows a methodological application of these calorimetric devices to soil samples with extreme different organic matter properties, to monitor the evolution of their biodegradation rates with increasing temperatures and the fitting of the most widely used models: Q10 and the Arrhenius equation. Results showed that calorimetry is sensitive enough to detect different responses of the soil samples to increasing temperature from 18 ºC to 35 ºC, that the range of temperatures at which the biodegradation rates fitted the existing models varied among soils and that Ea derived from Arrhenius equation was not sensitive in all cases to link soil sensitivity to temperature with the soil organic matter nature. The cause of the emergence of bio-negative interaction of social and environmental situation in the oil- and gas-field facilities in the Gulf of Guinea (GoG) region has been studied. It has been established that the cause of the negative synergy of socio-ecological situations is due to the imbalance of equipment and building technology, along with increasing social and environmental load on the whole territory, related to the lack of relevant world-class technologies for collection, transportation and recycling of disposals and wastes from staff’s livelihood. 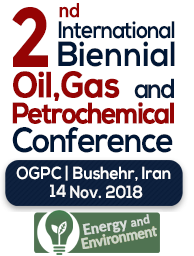 It was found that the disorganized placement of oil and gas facilities in a typical area along the coast of the GoG, poor environmental protection, and inadequate organizational and financial mechanisms of the environmental safety are a part of the main factors, which affect the environment. From the analysis of the main factors determining the state of the socio-environmental structures, it follows that the further development of oil- and gas-field facilities cannot be based on pre-existing technologies. New technologies and design solutions for oil- and gas-field facilities that are safe for environment and integrated with nature should be developed and implemented. Manganese oxides supported on granular activated carbon (MnOx/GAC) for degradation of UDMH wastewater was prepared via facile in-situ reduction of permanganate by activated carbon. 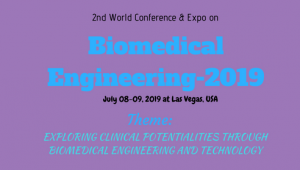 The growth and properties of MnOx/GAC were characterized by scanning electron microscopy, X-ray diffraction, Raman spectra and X-ray photoelectron spectroscopy. Test results showed that MnOx deposited on GAC surface was poorly crystallized layer birnessite-style MnOx and the sample of 30min synthesis time exhibited the best performance on UDMH degradation. Combined with vacuum ultraviolet (VUV), under the best optimal process conditions including 15g/L catalysis dosage, pH 9.0 and 50mg/L initial UDMH concentration, the UDMH and COD removal rate respectively reached 95% and 85% at room temperature. New mine tailings matrices were formulated from two different mine tailings from Eastern Canada. The tailings were mixed with Portland cement, fly ash, slag and a new binder called Calsifrit. The study consisted of two phases where in the first phase 5 cm3 cubic tailings matrices were formulated to assess the change in curing period on the compressive strength of the matrices. In the second phase of these tests cylindrical specimens were formulated to assess the effect of weathering on the compressive strength of the tailings matrices. The cylindrical specimens were exposed to wetting/drying and freezing/ thawing durability tests before subjecting them to unconfined compression tests. To assess the suitability of such matrices to road construction, their layer coefficients were determined. It was found that the new mine tailings matrices were suitable structurally (even after weathering) for road construction as it was demonstrated by their layer coefficients.